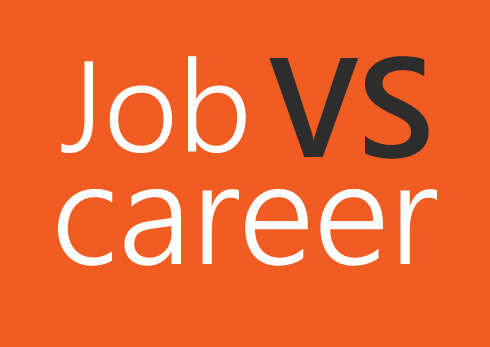 Job or Career – What do you want? Home Job or Career – What do you want? Building a career is like playing chess – you make strategic moves to reach your goal – capturing the lifestyle you want, getting to the peak of your chosen profession and earning lots of money. That’s at least everyone’s dream, right? The word ‘job’ is of English origin from around the 1500’s where it referred to something you did for a set period, and once it was finished you were paid and moved on. Although job and career are often interchangeable these days it is good to know the difference and concentrate on building a career rather than moving from job to job without much satisfaction. Make no mistake though a job can lead to a career if you find your passion and you cleverly manage to string the skills you gain together to add value to your service. For a chosen career you usually undergo extensive training and education – whether it be a hairdresser, or neuroscientist. What starts as a job can lead to a career but only if you are prepared to learn from colleagues and obtain formal qualifications. When it comes to a career you should have a one-year, five-year and a ten-year plan. Sure they can get derailed somewhere along the way – but it is important you keep the end goal in mind. As they say, “always keep your eye on the prize”. Choose career moves carefully, do your homework as much as possible before accepting a position and keep options open by letting employment agencies know you may be available to be head hunted. Always strive to be the best you can be – putting in extra hours, obtaining extra qualifications, and networking – the aim is to get ahead and build your career – each move should be a progression rather than a lateral movement. People who have careers are usually passionate about what they do. They may take time off to re-charge, or take time to complete extra qualifications, but their career is their life-choice. Can you imagine Picasso working as a dog walker? Probably not! For example, a person may take jobs to fund a lifestyle, much like a surfer who loves travelling the world in search of the big waves, would take whatever comes up in whichever country he happens to be. The career surfer on the other hand will build up his brand by writing about his experiences, obtaining sponsorship’s and establishing a line of surfboards, range of accessories and clothing. He will be travelling to surf but won’t need jobs in various countries – but he may make contacts in those countries that can in turn advance his career. No matter whether you have a job or a career try to be the best you can be at whatever task you are given. Your employer will notice, the clients will notice and things will start to change, and if they don’t it’s time to make the next strategic move. The question is do you have a job or a career?